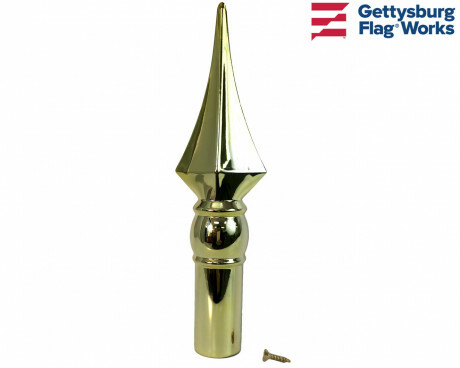 Gettysburg Flag Works offers a large selection of flagpole ornaments (pole toppers) for indoor displays and parade use. 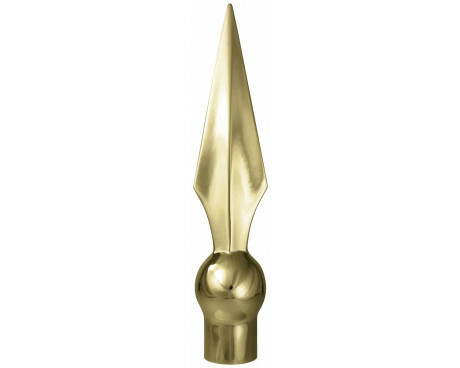 This type of ornament is made to slip over the top of your flagpole to finish the look of your presentation set or your marching parade poles. 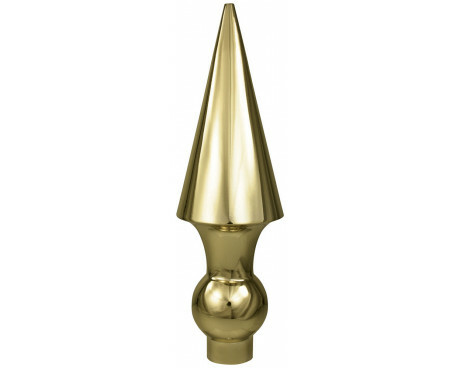 Religious ornaments, used for display and parade poles, are made of either gold aluminum, polished brass, or plastic. Inside diameter of these ornaments is 7/8". 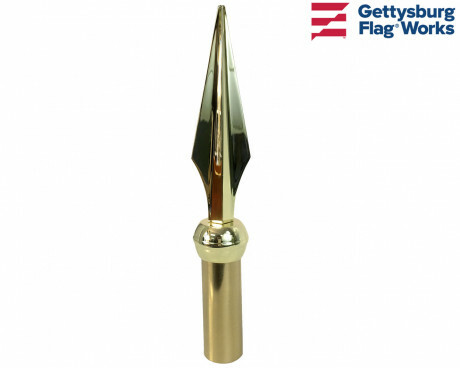 All flagpole ornaments include ferrule. 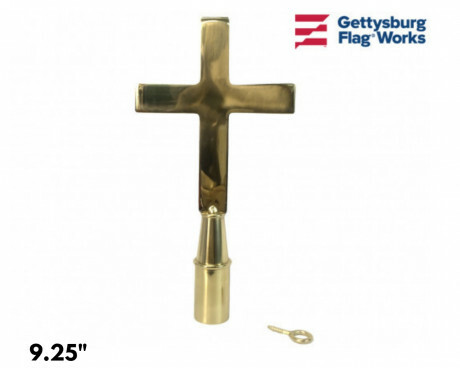 Gettysburg Flag Works offers a selection of church and Catholic cross ornaments and a Star of David finial. 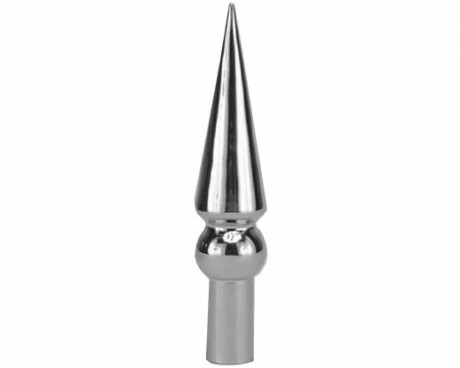 Each are available in a variety of colors and sizes. 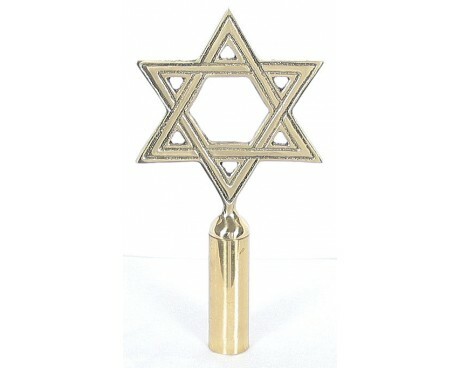 Other religious flags are typically topped with a spear or ball type finial. 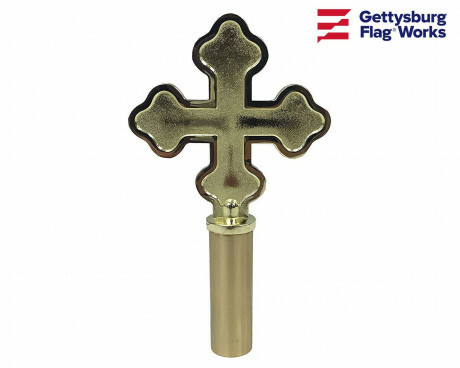 We offer 5 styles of cross ornaments. The Botonee cross is the same height as width and has round lobed ends. The Catholic cross is similar to the Botonee cross but is taller than it is wide. 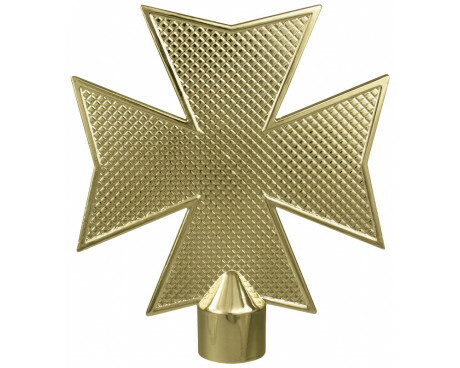 This cross also has a circle design at the center of it. 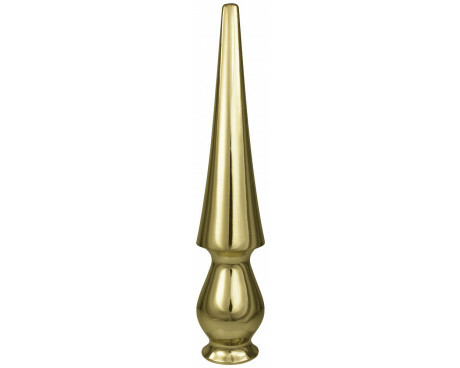 The plain church cross is a smooth tall cross with square ends. The traditional church cross is very similar to the Catholic cross but with a smaller center circle. 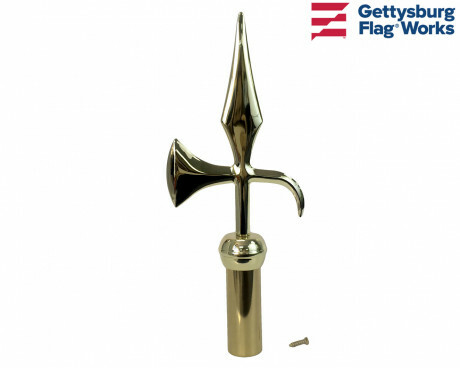 Our fancy cross flag pole ornaments have pointed ends and textured gold finish. 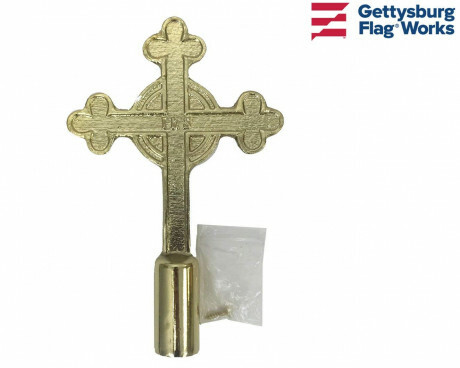 All of these ornaments are beautiful additions to your Christian, Catholic or other church flag. 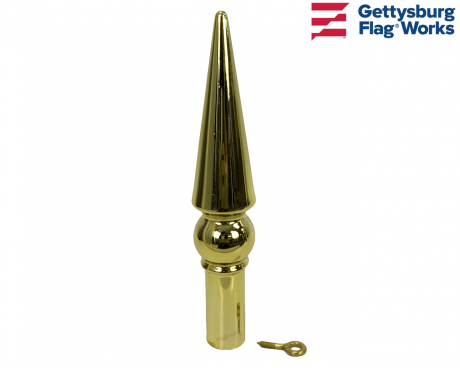 Flag pole ornaments, used for presentation sets and parades poles, are made of either gold aluminum, polished brass, or plastic and come in gold, brass or chrome finishes. 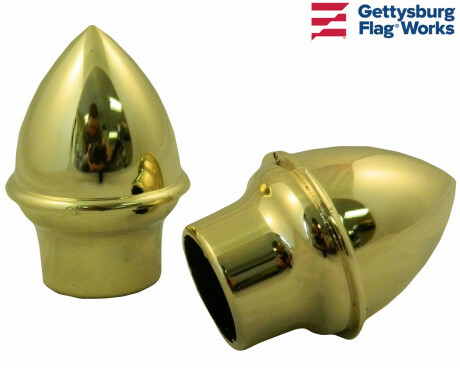 Flag pole ornaments can even be custom made! Give us a call at 1-888-697-3524 or contact us online for more information on having custom ornaments made for your organization. 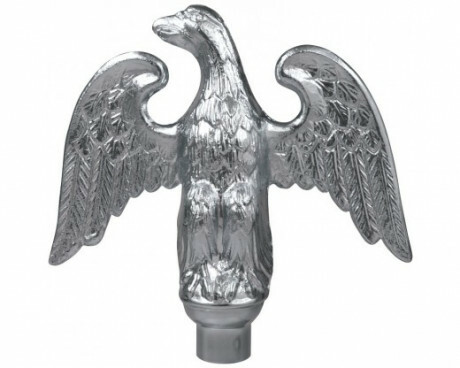 The eagle has earned the widest ornament (pole topper) popularity and our models portray the eagle at its very best. 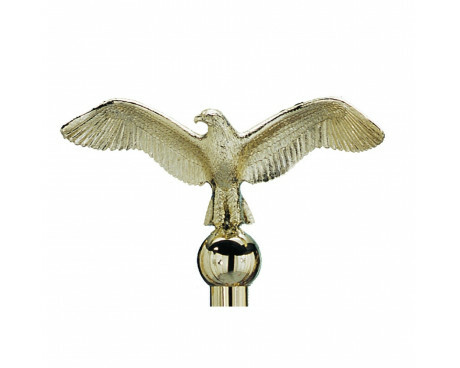 Eagle ornaments come in 2 styles, several sizes and either gold, brass or chrome finishes. perched eagle look like they are sitting on branch and have their wings spread vertically. 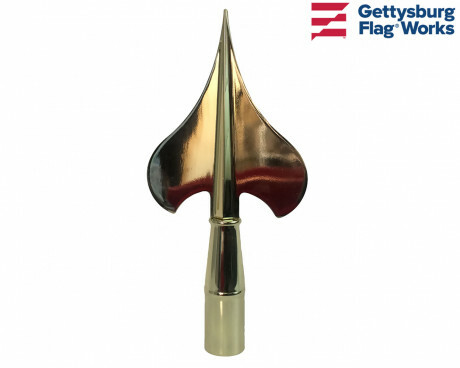 These flag pole ornaments are available in 5" or 7" heights and in aluminum or plastic. Flying eagle have their wings spread horizontally like they are flying. 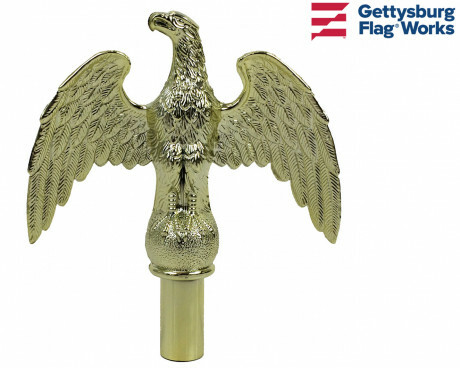 Flying eagle flagpole ornaments are available in 6.5" gold aluminum. 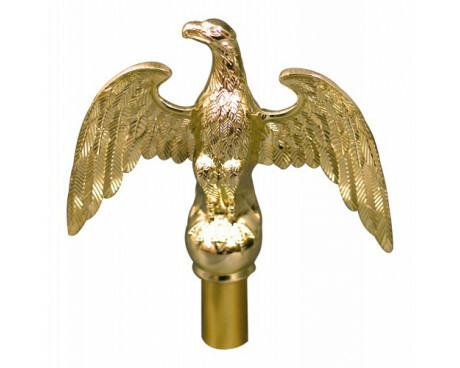 When used on parade poles, most people choose a plastic eagle because it's lighter weight that its metal counterparts. 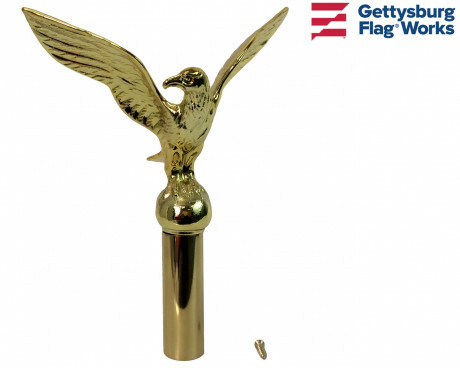 For durability, we recommend either aluminum or brass eagle flagpole ornaments. 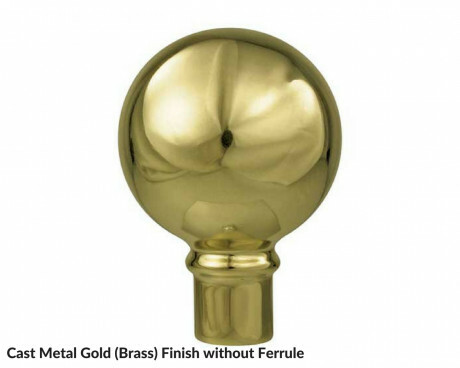 Flagpole ornaments are key for finishing the look of your parade flagpoles or the poles you are using to display flags indoors. 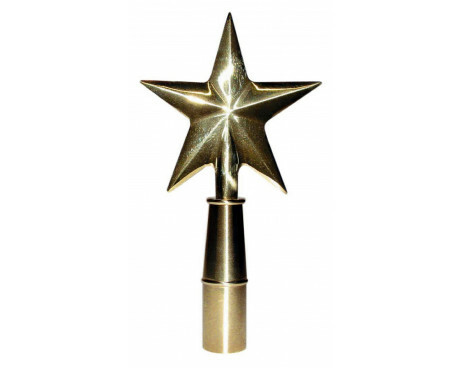 If you're looking for a variety of options when it comes to flagpole toppers, you've come to the right place! 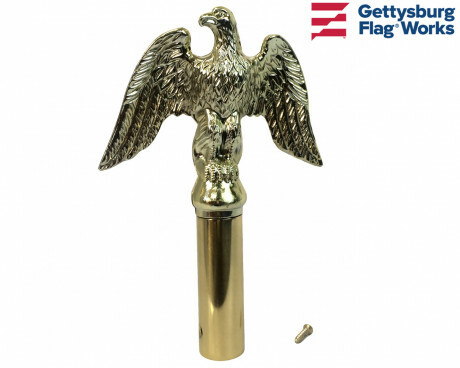 The finials on your marching poles are important for the overall look of your group, but Gettysburg Flag Works offers more than just the parade flagpoles, finials and flags. Did you know that we also carry white parade gloves, carrying belts for flags and we make custom lead banners for your group? Have questions or can't quite find what you're looking for? Give us a call at 1-888-697-3524 or contact us online and we'd be happy to assist you.